How small can a foosball table get before it’s at the border between highly-enjoyable and ridiculously annoying? About this small. 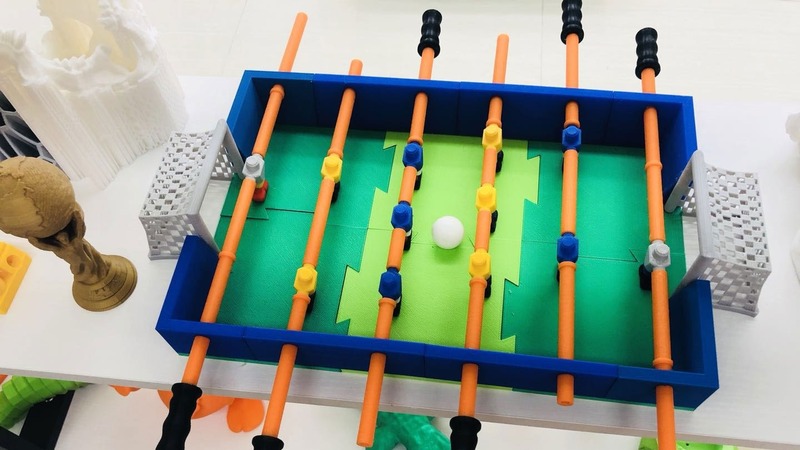 Florian Bommier has created and shared a super small 6-on-6 foosball (aka table football) table that pits you against your opponent/spouse/friend in a race to see who can restrain themselves from twisting the small plastic frame into a heap and tossing it off the highest point you can quickly climb to. Florian created it to celebrate–you guessed it–THE WORLD CUP, with rumors that he played against himself nine times and tied every match. Shootout! He scores! He scores! HE SCORES!! There isn’t much detail on the print, but altogether it’s pretty simple–16 pieces (including 4 pieces for the player itself). They’re all separate pieces so if you want to scale it up to human size and print it with concrete, you’ll have to do some meshmixin’ or assembly work. You can see it’s about the width of a single person so team competition is out. 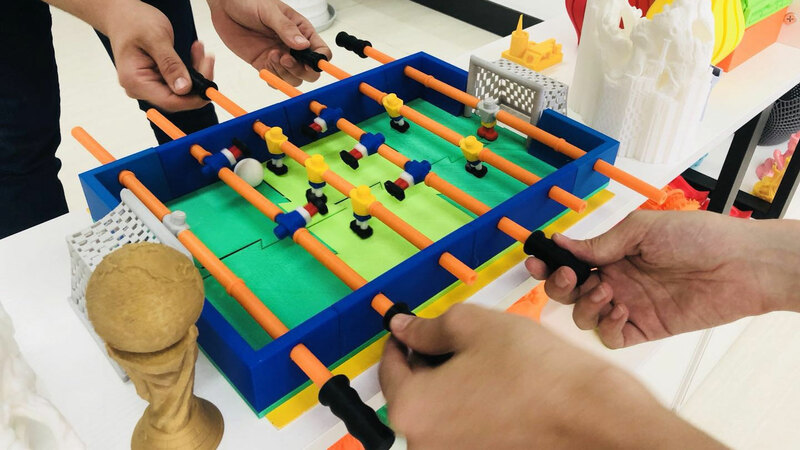 You can however still grab the sticks of your opponent to make playing foosball on an extra small foosball table even more frustrating. “*gasp* You wouldn’t dare!” Oh yes, I would. You can download the model at MyMiniFactory. And do let us know if you managed to print this out! This post features affiliate links which helps support SolidSmack through a small commission earned from the sale at no extra cost to you! Thank you for your help in delivering better content!